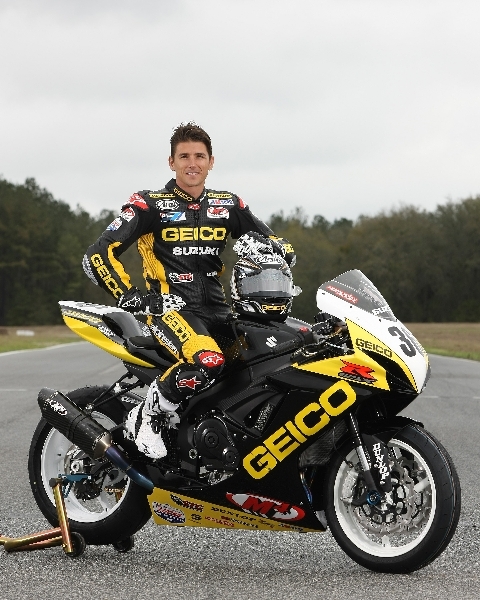 BRASELTON, Ga. (April 22) — It wasn’t quite as easy as Saturday’s wire-to-wire job, but GEICO Suzuki rider Martin Cardenas still managed to win his second AMA Pro Daytona SportBike trophy of the weekend Sunday at Road Atlanta to sweep the Triumph Big Kahuna Nationals and claim the unique top prize — a brand new surfboard. Surfing aside, there is no question that Cardenas knows how to ride his GSX-R600. He was dominant throughout the weekend, leading every qualifying session and riding to the top of the podium in both main events. 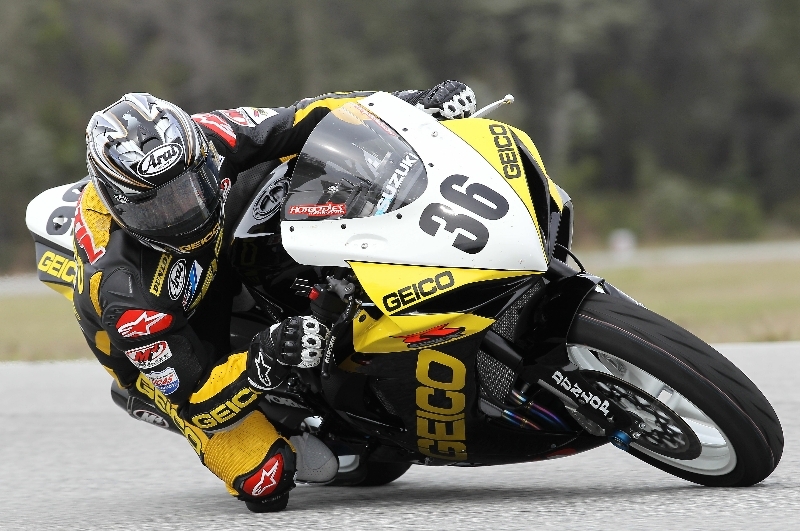 In six Daytona SportBike starts at Road Atlanta, Cardenas has won five times. The other race was lost due to engine failure. Sunday’s race was a little more stressful for Cardenas, although he made it look fairly routine. He swapped the lead around with a couple of riders in the first lap and a half but then pulled ahead for good from there. Tommy Hayden was the only one to keep Cardenas honest, riding right behind him the entire race, but lapped traffic near the end allowed Cardenas to thwart any thoughts of a real challenge and the Colombian took the checkered flag by 1.220 seconds. “It was harder because Tommy stayed right on my tail the whole way,” Cardenas said. “I knew I couldn’t make any mistakes or he would take the position. It was tiring to ride that focused for that long but this is what was required to win. Some back markers helped me at the end this time, so there was no late maneuvering and I was able to get the victory. Cardenas’ double-win weekend moved his total number of victories in the class to 18, a record amount. It also helped him build a sizable 20-point lead in the championship standings after just three races. Up next is the Great Clips West Coast Moto Jam, which run May 4-6 at Infineon Raceway in Sonoma, Calif.
ATLANTA (APRIL 18) — GEICO Suzuki rider Martin Cardenas has lots of good feelings heading into this weekend’s AMA Triumph Big Kahuna Nationals at Road Atlanta, and he’s hoping his positive outlook will produce another big outing at one of his favorites racetracks in the world. 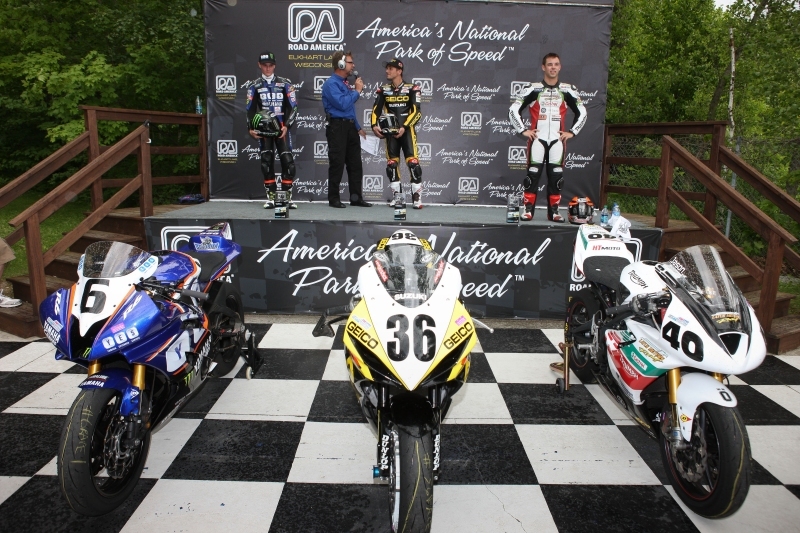 The last time Cardenas and the AMA series visited Road Atlanta in 2010, the Team Hammer pro pulled off a double win in the ultra-competitive Daytona SportBike class, which ultimately propelled him to the championship. Now he returns having earned the pole at the season-opening Daytona 200 with a bike that can easily repeat the feat. “I’ve liked this racetrack very much since the first time I rode here,” said Cardenas, a 29-year-old from Medellin, Colombia. “Obviously, we did as good as we could do the last time we raced here in 2010, winning both Saturday and Sunday’s races so my mind is excited when I think about racing here again. Cardenas said the natural rolling terrain of Georgia and the more technical areas of the legendary 2.55-mile, 12-turn course of Road Atlanta give him a distinct advantage over many of his rivals, something he once again hopes to exploit this time through. “There are some hard-braking corners and I believe one of my strengths is my ability to brake very late,” Cardenas said. “This is always something that can work to your favor during the course of a race. 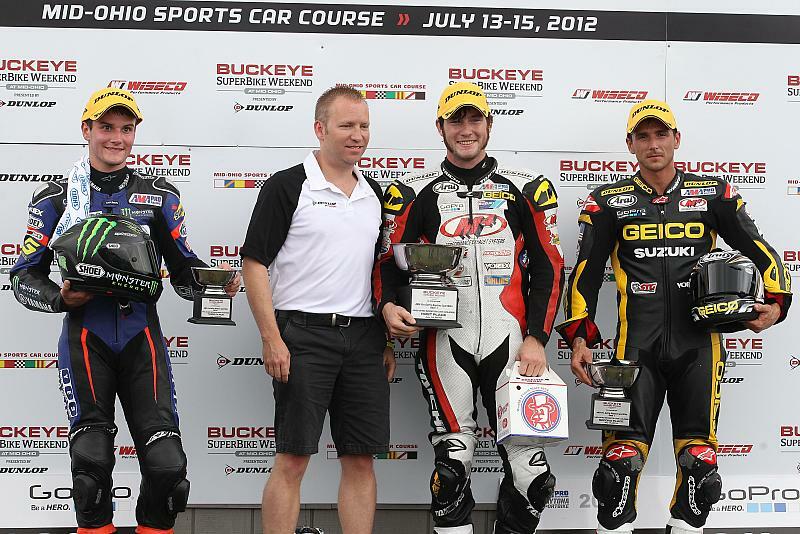 With 16 SportBike victories on his resume, Cardenas already is the most prolific rider in class history. Under this weekend’s schedule, he’ll get two chances to add to that total, with races slated for 2 p.m. Saturday and 2:15 p.m. Sunday. Racing action at Road Atlanta runs from noon Friday to 5 p.m. Sunday.